We are the ideal partner for all of your PSD to HTML5 and CSS3 projects. 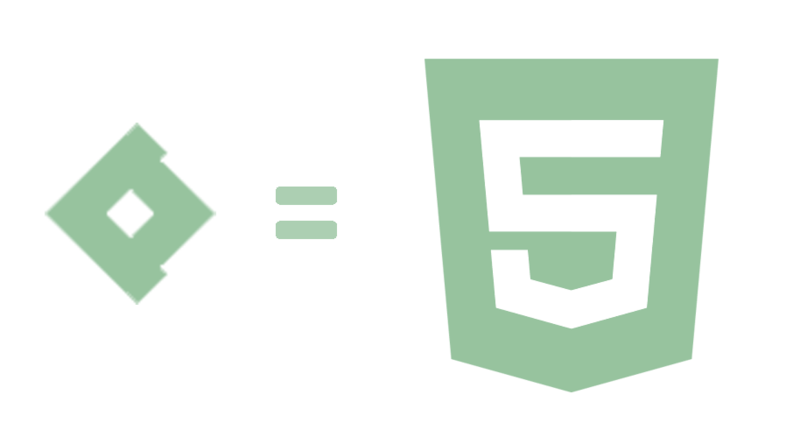 HTML5 can be considered the new standard which is highly recommended by all major search engines. Our developers are always acquainted with the latest HTML5 developments, which always ensure optimal hand-made code functionality. A perfect overall browser display, an optimized search engine code and a W3C valid code, are all part of the optimized HTML5 functionality. By allowing us to realize your PSD to HTML5 and CSS3 conversion service projects you can be reassured you will get the best possible quality at the lowest possible price. Why to choose our company to realize your PSD to HTML5 projects? Because our developers have a multi-year experience you could appeal to us for a single PSD to HTML5 page conversion, but also for a wide range of conversion projects involving various pages. We deeply care about our customer satisfaction and therefore we have implemented extended opening hours in order to always provide you a reply within the hour. Being confronted with a bug some weeks after the actual project delivery? No worries, we will resolve this bug for free. We will continue to support you and your projects whole way long. Thanks to our international orientation and extended opening hours, we are always at your service. Major part of our list of customers feels very strongly about our excellent customer service, and therefore have become regular customers which regularly appeal to us for new projects. This way we have built more than 750 websites throughout the years. The actual PSD to HTML5 and CSS3 conversion service is always a manual task performed by our experienced developers. We will always start with a blank page to develop a clean code which will be search engine optimized. Our developers are acquainted with the latest SEO developments and techniques, making sure they use the right elements at the right place. Besides, all of our websites are tested in all major browsers to ensure a proper website display for all of your visitors. We feel very strongly about the commonly agreed deadlines and we therefore guarantee a timely delivery of all PSD to HTML5 projects within the set due date. Because we offer you a manual conversion service, human errors and minor bugs can unfortunately not be avoided. Nevertheless, we will always resolve similar issues for free, even when the project was delivered a month ago. By complying to the below standards for all of our PSD to HTML5 projects, we can guarantee the expected and desired level of quality. A high search engine ranking, a proper website display in all modern browsers and a fast as lightning website load time ensure a solid website basis and a perfect website kick off. Easy and moderate jQuery scripts are implemented for free. Amongst others this could be sliders, tabs and hover animations. We ensure for free all non-supported browser fonts are still properly displayed in all browsers. Your website will be properly displayed in all modern browsers. All visitors will experience a similar website visualization, no matter how they visit your website. A fast loading website ensures an optimized conversion rate. If you take care of a proper and fast server, we take care of a fast loading website. All search engines will smoothly index your website’s code , which will facilitate a high search engine ranking. The right elements at the right place will ensure W3C validity and a perfect website implementation by all browsers. Get our developers to work and start your PSD to HTML5 project right now by clicking the button alongside. One single page or many large projects, your wish is our command. Would you like to receive a quote without further obligations in order for our experts to evaluate your designs or would you first like to get an answer on an outstanding question? Don’t hesitate to contact us, we are at your service.